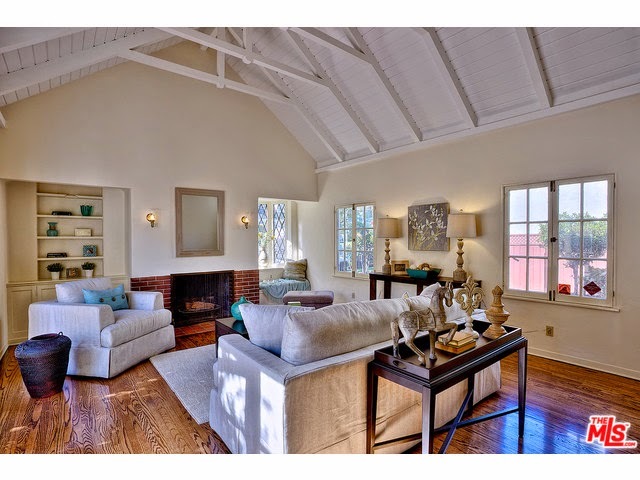 The Westwood Real Estate Market Blog: What Did That Westwood Home At 1566 Kelton Ave Sell For? What Did That Westwood Home At 1566 Kelton Ave Sell For? The Westwood home at 1566 Kelton Ave, LA CA 90024 lasted 18 days on the market before accepting an offer on 11/24/14. This traditional home was clean and in live-able condition, however everything was fairly vintage. Most people would consider that a fixer. What it did have going for it was the size, just over 3,000 sf. My favorite thing about this house was the large vaulted ceiling living/family room, pictured here. On 12/24/14, 1566 Kelton Ave closed about .61% over the asking price at $1,800,000 |$596 $/sf|. According to the MLS, the home is a 4 bedroom / 3 bath, 3,022 sq ft of living space on a 7,091 sq ft lot.